Check out these videos to learn tips on how to deal with medical marijuana. 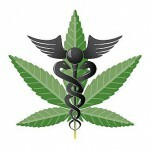 Their videos are SUPER informative for all of your medical marijuana needs! What’s On Your Marijuana Bucket List? has fortunately been rescheduled to Tuesday, July 5th. This bill, while not perfect, is an attempt to prevent California law enforcement authorities from using federal authority to perform asset forfeitures. Cutting off this loophole is important; the federal Equitable Sharing program allows state and local law enforcement to ignore state law about the process and disposition of forfeitures. Most dangerously, Equitable Sharing allows state and local law enforcement to directly retain forfeiture proceeds (in other words, policing for profit). This bill should be particularly important for Drug War reformers; much of Drug War enforcement is paid for by federal forfeiture dollars that get spent by state and local police on military equipment, drug task salaries and bonuses, and the organization infrastructure that allows the existence of the Drug War. California state and local law enforcement now receive upwards of $70 million a year through Equitable Sharing forfeiture dollars alone. interested in submitting testimony (we can help you draft such testimony). You can reach me at Eapen@ForfeitureReform.com. 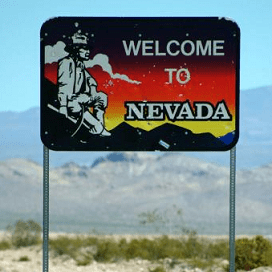 The Nevada Medical Marijuana Program was adopted by the Nevada Legislature in 2001; registration for a medical marijuana card in the state is administered by the Nevada Department of Health and Human Services (DHSS), State Health Division. You may designate a primary caregiver to help you cultivate and use your medicine. Patients may legally possess items, such as vaporizers and pipes, that are necessary for using cannabis. You will be sent an application form; to complete it you will need a doctor’s confirmation that you suffer from one of the conditions listed above and recommendation that marijuana will help to relieve that condition. The Division of Health will check the status of the doctor who provided the recommendation; they will also check out whether you have any past convictions for selling a controlled substance. On approval your registry ID card will be issued at a DMV office in Las Vegas, Henderson, Reno, Elko, or Carson City. Any Doctor of Medicine (MD) or Doctor of Osteopathy (DO) licensed in Nevada can recommend a patient for Nevada’s medical marijuana program. As a patient, you and your designated primary caregiver are allowed to produce marijuana. You are only allowed one primary caregiver at a time. Your caregiver must be at least 18 years old, have significant responsibility for managing your well-being, and be officially designated as your primary caregiver. If you want a designated caregiver, make sure to request a caregiver packet when you request an application from the Division of Health. 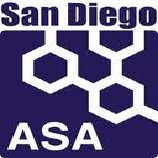 Monday, June 27, 2011 in San Diego Superior Court, the faulty search warrant obtained by a misleading affidavit was upheld in the medical cannabis case of Jason and Sarine Gastrich. All morning, Deputy DA Ramin Tohidi and attorneys for the defense argued the legitimacy of the warrant which led to felony charges of possession of marijuana for sale, cultivation, and child endangerment (due to the mere presence of marijuana plants in the house). The mistruths and omissions utilized by law enforcement in the affidavit to convince Judge Whitney to sign the original warrant were evident to everyone in the courtroom; worrisome is they were not evident to the Judge who should have been outraged at what defense arguments labeled as a ‘judicial duping’ by Steve Reed and other law enforcement personnel. Another issue raised during Monday’s hearing was whether law enforcement had enough probable cause to obtain the search warrant in the first place. 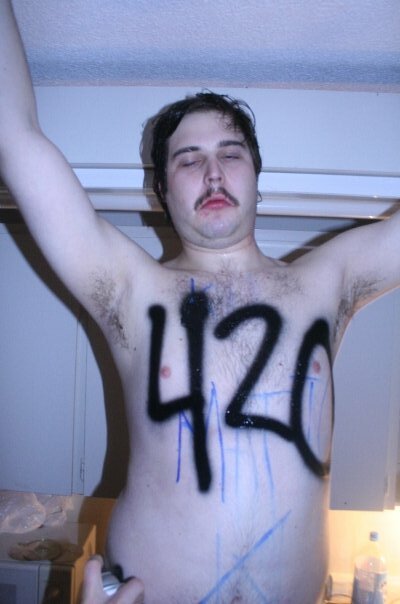 Instead of relying on probable cause, in this case as is typical with most medical cannabis cases in San Diego, law enforcement took advantage of a neighbor’s complaint of cannabis smell as reason enough to invade and destroy the Gastrich residence. Taking the pieces of the investigation which supported evidence of marijuana and withholding the pieces of evidence which supported that the marijuana was medical and therefore lawful, the cross-sworn officers took their investigation to a California state court in a state were medical cannabis is lawful, and obtained a search warrant based solely on the premise that marijuana was smelled and that marijuana is illegal. When will patients’ rights be respected by law enforcement? If judges will grant law enforcement the right to break down doors with guns draw simply because of the existence of marijuana in the home, we are all vulnerable to being abused, arrested, and drug through court for exercising our right to choose a medicine that helps us and is lawful by a ballot vote of the people. In the hearing which lasted just under ten hours over two days, law enforcement investigators vehemently defended their warrant while the defense attempted to tease out just how much evidence pointing to medical cannabis had been kept from the judge and exactly why it was that the Gastrich family caught the attention of the cross jurisdiction Narcotics Task Force, or Team 9 of Operation Green Dope. Apparently, it all began with a neighbor who became curious and then complained about a greenhouse structure in the Gastrich backyard, specifically a plywood barrier atop the fence between the two yards. In a letter – which during the hearing caused somewhat of a Perry Mason moment after being whipped out of the lead case agent’s purse and entered into evidence never having been examined even by the prosecution – Gastrich explained the barrier was erected to protect his medical cannabis from the neighboring spot light. This letter, addressed by Gastrich to neighbor Steve Skinner was subsequently sent to investigators in a series of moves that began with Skinner’s phone call to San Diego City Councilmember Kevin Faulconer a result of which the Narcotics Task Force launched their investigation. The investigation was fraught with surveillance, K-9 units and a multitude of tactics to determine if marijuana was growing even though the Gastrich letter spoke of the medical cannabis grow and this was a fact neither of the defendants ever hid from. What was missing from the investigation was even the slightest attempt to substantiate the couple’s garden as a legitimate medical cannabis garden. Investigators wasted scarce resources to find probable cause for a fact the defendants would have freely admitted but they utterly failed to investigate if the Gastrichs were patients and further, carefully omitted any indication this might be so when they asked a judge if they could violate the 4th Amendment Rights of these citizens. Special Agent Michelle Sarubbi of the U.S. Forestry lead the eight person swat-style raid including cross-sworn officers Matt Stevens, Steve Reed and a host of other Team Nine members sworn to protect California law but donning DEA hats when it suits them. The judge was misled and these investigators wasted valuable resources and failed to protect the people or uphold the law. 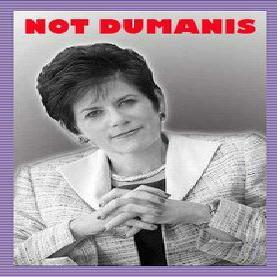 This is more of the same from San Diego District Attorney Bonnie Dumanis, her fierce fight against patients and her dedication to overturning state law. TODAY we need your help to fight two alarming bills before the California state legislature that jeopardize collectives and dispensaries from being able to stay open and operate. These bills, SB847 and AB1300 affect all of California’s cities and counties, further restricting zoning and allowing those cities and counties to ban safe access entirely. The votes on these bills are coming up quick. Time is of the essence and we need your help TODAY! Right now we are asking that you call one or more of the Assembly members on the list below and utilizing the script below ask them to support an amendment to SB 847 that would exclude small collectives from the requirements of this bill. We also ask that you email this information to your contact lists, social media accounts and reach out to other patients and caregivers – We ALL need to contact our Assembly Members today. Using the script below, call one or more Assembly members from the list below. When your call is answered, simply read the script (feel free to embellish it in any you wish) and thank them for providing your information to the Assembly member. Then call another assembly member on the list until you have called as many as you can. Will you contact your Assembly members on this bill TODAY? Thank you again so much for your time. If you have any questions you can contact Lanny at 760-799-2055 for more information. Please help pass this information along! Hello, My name is ____________________ and I am calling ____(name of Assembly member)________ about SB 847 that will make illegal the small collectives patients form to cultivate at someone’s home. 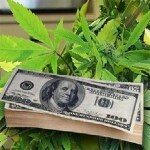 This will force patients to obtain their medicinal marijuana from illegal sources. Would you please ask ________(name of assemblymember)________ to add and support an amendment to SB 847 saying that this bill does not apply to small collectives with 10 or fewer members. Thank you. 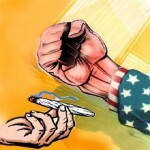 Massachusetts the Nations Role Model in Cannabis? What’s good, in this article I’m gonna fill you in on all the wonderful things happening in Massachusetts with House Bill 1371. If passed, this will make Massachusetts the first state in the nation to control and regulate sales of marijuana to adults over the age of 21. Although this would demand licensing requirements and create taxes on the for-profit retail sale of cannabis, Massachusetts will become a role model for the rest of the 49 states. This measure is also being referred to as the “Joint Committee of the Judiciary,” I believe there was no pun intended. For the full story click here. Please don’t read over this and shrug away, do your part! It might not seem like it, but every email and letter sent in is a step in the right direction. If not for our country, but do it for our lovely lady Mary Jane.